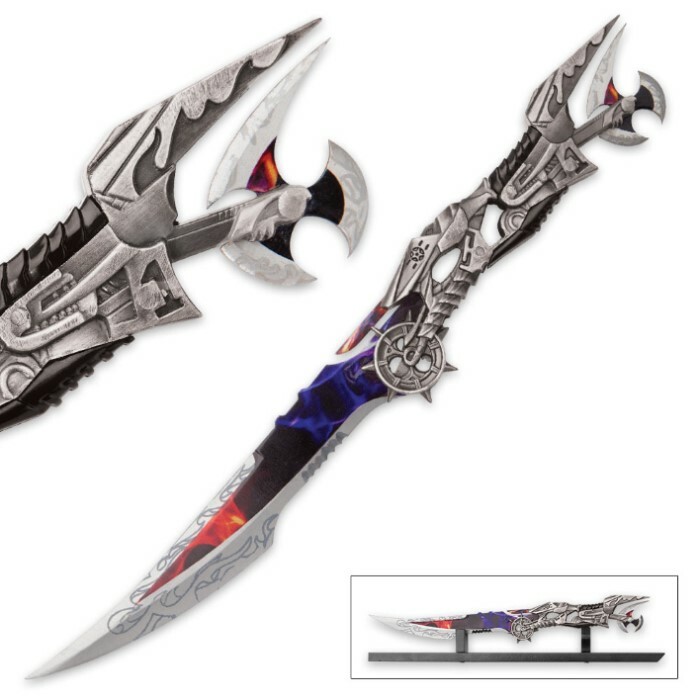 Dark Night Steampunk Fantasy Sword With Display Stand | BUDK.com - Knives & Swords At The Lowest Prices! If you want a conversation piece that will really impress people, you’re looking at it! 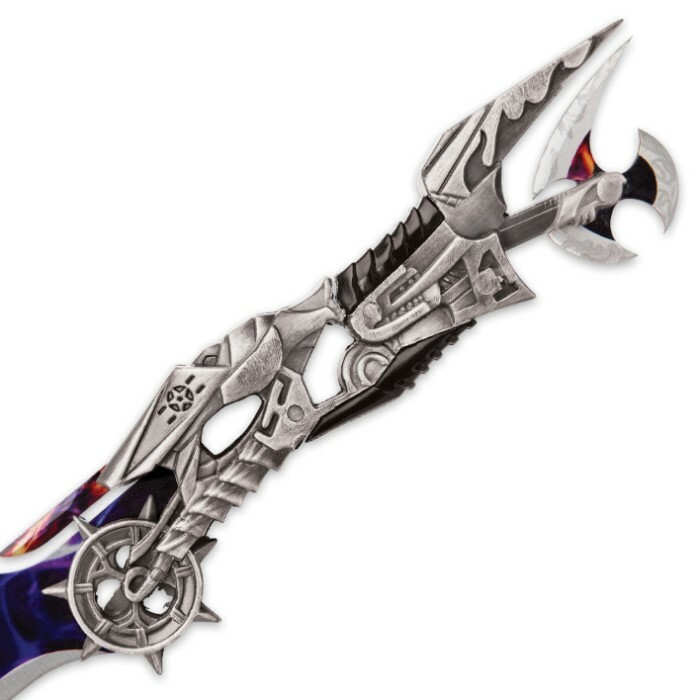 Our Dark Night Steampunk Fantasy Sword features a 6” colorful stainless steel blade that also has unique, decorative etching. 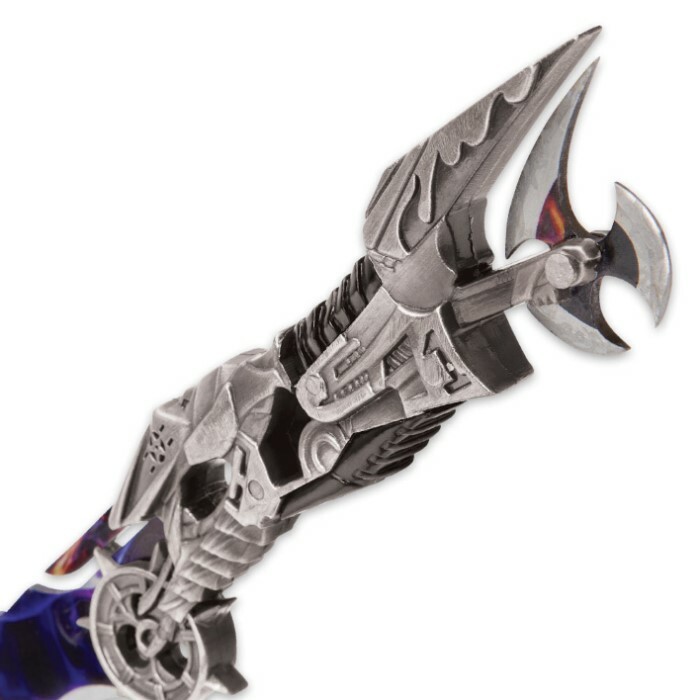 This complements the Steampunk motorcycle motif of the silver crafted metal alloy handle. The premium wooden display stand makes it easy to show-off in your office or at home.